Monday was another long day, and it definitely didn’t go as planned. On Sunday night we arrived at the San Francisco Airport around 10:00 pm for a scheduled departure time of 11:45. 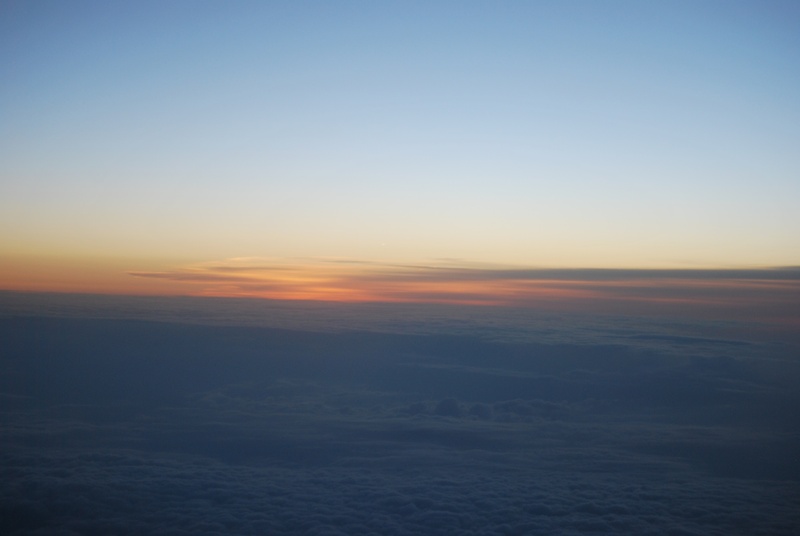 The flight was headed to Chicago’s O’hare Airport, where we would have a fifty minute layover. We were then supposed to take the 6:35 am flight to St. Louis, where we left Victoria’s car after the Cardinals series. In hindsight, I should’ve planned the trip differently. I should have scheduled the original flight to San Francisco out of Milwaukee and not St. Louis. Instead of staying that Sunday night in St. Louis, we would have driven back to Wisconsin, and caught a morning flight from MKE to SFO on Monday, April 30th. It would have made it more tiring on the front end, but much easier on the backend. After waiting at our gate for about an hour, the guy who works at the gate said that because of the weather in Chicago, our crew hadn’t arrived yet. They were flying in from Chicago, and that flight had gotten delayed. American Airlines changed the departure time to 12:30 am, and even that would’ve caused us to miss the 6:35 am connecting flight to STL because of the four hour flight, and the two hour time difference. I changed our flight to the 9:00 am flight out of O’hare, and then started debating my options. If that flight was on time, we would probably would have left St. Louis around 11:00 am. My aunt still had to pick us up from the airport, and take us back to the car, which as at her house in St. Charles. Our flight leaving San Francisco didn’t take off until 1:30 am local time, and I continued to weigh my options. As we were nearing Chicago, this was the view from my window. 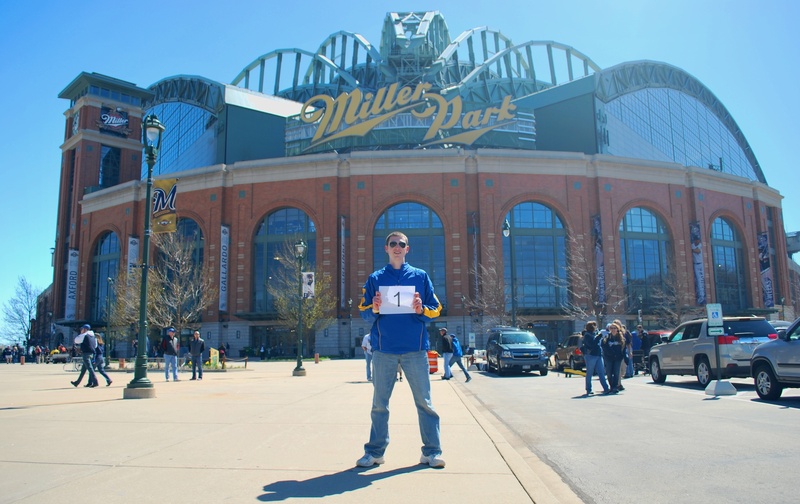 When we got into Chicago, I decided that I didn’t want to risk missing the game in Milwaukee. Victoria and I had talked about this months before, and knew that this was possible. She didn’t prefer it, but she agreed to fly solo to St. Louis to get her car, and drive back to Wisconsin. I took a bus to Janesville, where my mom picked me up from the Van Galder bus stop. I was home by 11:18, and went to sleep shortly thereafter. It turned out that I could’ve made it work if I had gone with Victoria to get the car. She drove through Janesville on I-39/90 around 4:30, even though her flight to St. Louis was delayed 30 minutes as well. She’s a trooper and I’m extremely appreciative of how she handled everything. If I had gone with her to St. Louis, I’m not sure how it would have turned out for me at the game, or driving home from the game. While Victoria was able to get some sleep on the flight from San Francisco, I was working on the blog for Sunday, and still doing so on the bus ride to Janesville. Without the nap that I got in Fort, it would’ve been rough going to and from the game. I didn’t set an alarm when I took the nap, and when I woke up I had absolutely no idea what time it was. I was terrified that I was going to look at the time and 6:30 pm was going to be glaring back at me. Thankfully it was only 4:04, and I got ready for the game in a hurry. I stopped at Jimmy John’s in Fort for a sub, which I ate once I pulled into the Braves 1 parking lot at 5:55. After finishing my sub, I went inside (at 6:14) and returned to the upper deck. I asked the nearest fan to take game photo number 29, and he got it done with one take. 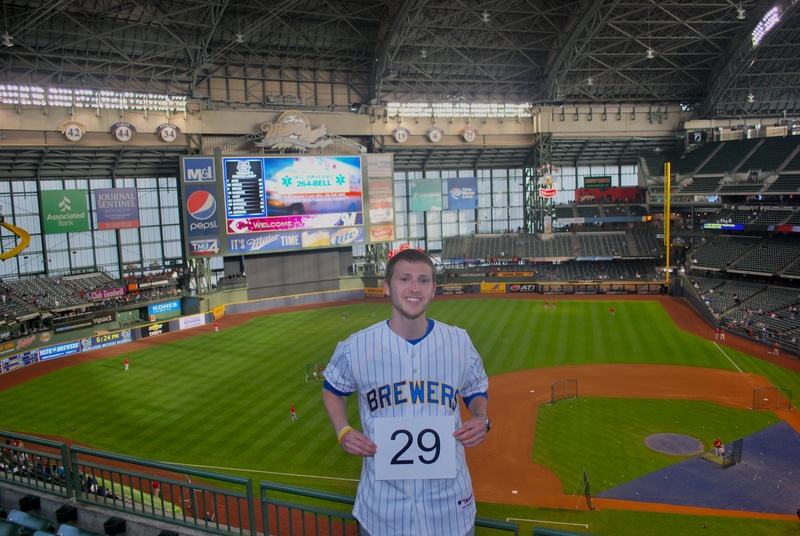 Besides the opening day photo, I think this was the first one that only required one attempt, so kudos to you, unnamed Brewers fan. I exchanged the designated-driver-parking-pass-tear-off for a soda voucher, then killed some time in the loge level concourse. Early in the year when I went down the staircase to the right of section 216, I had asked the usher to remember my face. I said that I would be there for all of the home games, and I didn’t want to take my ticket out every time. That last sentence may have come off as arrogant, but I said it in a friendly/joking manner. I also told him about my initiative, and he seemed intrigued. Now every time I go down that staircase, he always shakes my hand and asks me how I’m doing. I was in my seat with 30 minutes to spare, and I was ready for the Crew to start a winning streak. It looked good early as Braun hit a solo home run to center in the first inning. Marco Estrada got the start, as Yovani Gallardo was a late scratch. He retired the first nine men that came to the plate, but then it got ugly. The first five at bats for the Reds in fourth inning went as follows; leadoff home run, double, RBI double, single, 3-run MONSTER home run (estimated at 442 feet). Just like that, in a span of six or seven minutes, the Reds had a 5-1 lead. The Reds added a run in the ninth, and that was it. Final Score: Reds 6 – Brewers 1. There was a funny fan moment at this game, and it occurred during Joey Votto’s at bat in the fifth inning. A fan three rows behind me was yelling stuff towards Votto (even though he probably didn’t hear it), and one of the lines was “VOTTO: YOU’RE OVERPAID!! !” One of the guy’s friends was laughing at his antics, and added (not nearly as loud): “and you smell like poopy!” Even though it was shortly after the Brewers gave up five runs in an inning, I couldn’t help but to laugh. The five run inning was impressive by the Reds, but I pulled off an equally impressive feat of my own. I was able to get a soda from a concession stand, go to the bathroom (and wash my hands), all while being out of my seat for just one pitch. I asked the two guys in front of me if they would watch my stuff, because I was going to try and go to the bathroom. I told them my mission, and that I didn’t want to miss any pitches, so I’d be going up to the concourse with two outs in the bottom of the seventh. They agreed and I dashed up the steps after Izturis was called out on strikes. I then watched Kottaras single on the first pitch of his at bat from above section 223 (my seat is in 221). No one was in the concession stand line at the time, so I walked over and gave them my voucher, said “Diet Pepsi” and “I’ll be right back”. I went back to the standing room above section 223 so I could see the field, and saw that the Reds were making a pitching change; beautiful! I went back to the stand, got the soda, went to the bathroom, washed my hands, and was back in my seat before the first pitch from Ondrusek to Aoki. Whew! After all that work to not miss a pitch, I still managed to mess up a “perfect game” at the last second. To sum it up, I’m pretty mad at myself. I saw the first 282 pitches of the game but then got caught looking at my phone and missed the second-to-last pitch of the game. I was texting a few friends to see who wanted to join me for Tuesday night’s game, and got distracted. I looked up as the ump was signaling a strikeout of the Brewers’ Brooks Conrad in the bottom of the ninth. I really wanted to not report it since I saw the umpire make the call, but I can’t. That’s all for now, it’s 1:45 pm, and I’ll be leaving in about three hours for game number two of the series.